Apologies for the lack of posts this week. I've been away for a few days and returned to no phone or broadband. It's back now, just in time for me to go back to work! With the the limited wifi service I could access sporadically, I managed to put a few links on the Facebook page. I'll be posting the CWA Dagger shortlists, as soon as I can. Lots to catch up on! 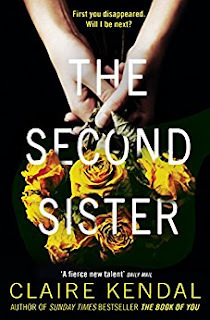 This nail-biting debut by Tana Collins introduces her detective, DCI Jim Carruthers, and heralds the arrival of another top-notch author of Scottish crime fiction. 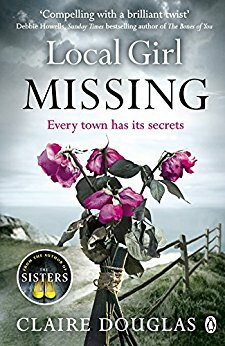 Set in a small town, called Castletown - that is roughly based on St. Andrews but still has an operational RAF base close by, the novel is a treasure trove of interesting locations that will hook in readers who are past and present residents of this unique university town and keep their attention right to the very last page. The story starts with a particularly gruesome murder in the town, in a back alley. 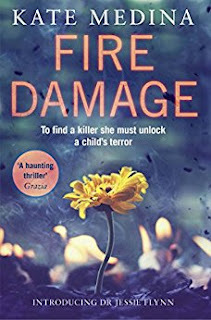 You are drip fed the fact that the victim is a young Welshman, a member of the RAF and knows his assailant, and also find out about the creepy person watching events unfold. That is all you find out. Even the police don't know much more but very soon this killing is upstaged by a car bomb and what looks like attempted murder. Theories abound but all centre on the fact that somebody doesn't like the intended victim’s opinions of the Welsh, particularly Welsh terrorist groups and those who are fighting for freedom. Carruthers, newly arrived in town, is thought to be out of depth on this case and outside help is drafted in, in the form of terror expert McGhee, who once tried to seduce Carruthers’ now ex-wife. There is no love lost between the men and tensions rise as his eyes fall on Andrea Fletcher; Carruthers’ extremely efficient and capable DS. 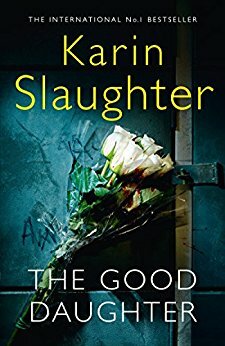 In their hunt for the intended victim, who has simply vanished, the would-be murderer, and a motive for this crime, as well as still trying to sort out first murder, Carruthers and Fletcher find themselves face-to-face with the aftermath of Bloody Sunday and have to join the dots to find out how everything is connected. They must hurry if they are to be successful as they are not the only ones looking for answers and, indeed, justice. I loved this book! The story is captivating, well-written and has an ending that you can't see coming. Jim Carruthers is an extremely likeable cop, with enough personal trauma to make him interesting as well as good at his job. The prospect of more books about him and DS Fletcher, in their fight against crime in not-so-sleepy Castletown, is very exciting. 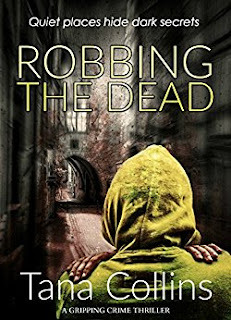 In ROBBING THE DEAD Tana Collins has shown, extremely effectively, that she is a force to be reckoned with. I think this is a repeat but I missed it first time around. Listen now or download via the BBC Radio iPlayer app - a three parter called Keeping the Wolf Out. Available for the next 20 days, each episode is 45 minutes long. Parts two and three are Waiting by the River and Heroes. The foggy streets of London's Whitechapel district have become a nocturnal hunting ground for Jack the Ripper, and no woman is safe. Flower girl Constance Piper is not immune to dread, but she is more preoccupied with her own strange experiences of late. Clairvoyants seem to be everywhere these days. Constance's mother has found comfort in contacting her late father in a seance. But are such powers real? And could Constance really be possessed of second sight? She longs for the wise counsel of her mentor and champion of the poor, Emily Tindall, but the kind missionary has gone missing. Following the latest grisly discovery, Constance is contacted by a high-born lady of means who fears the victim may be her missing sister. She implores Constance to use her clairvoyance to help solve the crime, which the press is calling "the Whitechapel Mystery," attributing the murder to the Ripper. In 2012, I had the good fortune to read for review one of the author's previous books THE ANATOMIST’S APPRENTICE an historical thriller set in 1780 which was about Dr Thomas Silkstone, an American surgeon from Philadelphia, who brings his skills from the US colonies to London. This was the first in a series of six books about Silkstone. So having an appreciation of her enormous skill as a novelist I was very pleased to read her latest book which is also set in London and is the start of a new series, featuring Constance Piper. The author has written another highly readable story which has an element of fantasy to entertain the reader and which makes it even more exciting. This was a story which I could not put down until the final conclusion. 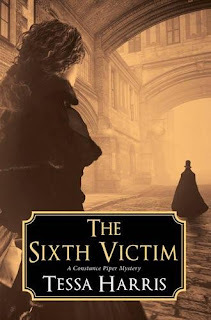 The author has done considerable detailed research to create a very believable impression of London of 1888, and I was very impressed with this but of course I remember her talent from previous books. I found the story immensely gripping and fast moving and the pages just shot by in this extremely atmospheric story. Very strongly recommended. Yesterday, I updated the main files on the Euro Crime website. Euro Crime includes both British and other European crime fiction writers (that have been published in English); non-British/European born crime writers who are strongly associated with British/European crime fiction (eg. Donna Leon), and crime writers in translation from outside of Europe. The Author Websites page now lists 1065 sites. In Bibliographies there are now bibliographies for 2485 authors (12452 titles of which 3048 are reviewed). I've added new bibliographies for: Tove Alsterdal, Sally Andrews, Asa Avdic, Federico Axat, Xiao Bai, R J Bailey, Simon Berthon, Simon Booker, Oliver Bottini, Benet Brandreth, Alex Caan, Vince Cable, Julia Chapman, Anne Coates, Daniel Cole, Liz Cowley & Donough O'Brien, Luca D'Andrea, Phillip DePoy, Claire Douglas, Alice Feeney, T P Fielden, Helen Fields, Guy Fraser-Sampson, Caz Frear, Jack Grimwood, JM Gulvin, Johana Gustawsson, Nell Hampton, Elodie Harper, Erin Hart, E V Harte, L V Hay, Elizabeth Heathcote, Elisabeth Herrmann, Nir Hezroni, Mark Hill, Jessica Jarlvi, Matt Johnson, Dirk Kurbjuweit, Peter Laws, Anna Legat, Paula Lennon, Jordi Llobregat, TM Logan Christopher Lowery, H B Lyle, Bonnie MacBird, Amneris Magella, & Cocco Giovanni Laura Marshall, Jon Michelet, J S Monroe, Tara Moore, Peter Morfoot, Alan Murray, Kristine Naess, Sarah J Naughton, Annemarie Neary, Carlene O'Connor, Laura Purcell, D M Quincy, Karolina Ramqvist, Amanda Reynolds, Matthew Richardson, Jenny Rogneby, Jean-Christophe Rufin, Mikel Santiago, Holly Seddon, Jan-Philipp Sendker, Abi Silver, Fiona Veitch Smith, Katherine Stansfield, Karen Lee Street, Plum Sykes, Lone Theils, MB Vincent, Lesley Welsh, Matt Wesolowski, Hanna Winter and David Young. I've updated the bibliographies (ie added new titles) for: Jane Adams, Lin Anderson, M J Arlidge, Jo Bannister, Fiona Barton, Quentin Bates, M C Beaton, Simon Beckett, Parker Bilal, Laurent Binet, Harry Bingham, Cara Black, Helen Black, Tony Black, Sara Blaedel, Sam Blake, Sharon Bolton, Hilary Bonner, Stephen Booth, Sam Bourne, Simon Brett, Frances Brody, Adam Brookes, Eric Brown, Fiona Buckley, Steve Burrows, Helen Cadbury, Tom Callaghan, Stella Cameron, Christoffer Carlsson, James Carol, Clare Carson, Alan Carter, Andrea Carter, Chris Carter, Joyce Cato, Steve Cavanagh, Kimberley Chambers, Clare Chase, Lee Child, P F Chisholm, Alys Clare, Tammy Cohen, Sheila Connolly, Julie Corbin, Colin Cotterill, Mason Cross, Sinead Crowley, Lisa Cutts, Annie Dalton, Frederic Dard, Lindsey Davis, Sandrone Dazieri, Maurizio De Giovanni, A A Dhand, Katerina Diamond, David Dickinson, Clare Donoghue, Margaret Duffy, Stella Duffy, Ruth Dugdall, Elizabeth J Duncan, Marjorie Eccles, Kate Ellis, Mark Ellis, Lyndsay Faye, Paul Finch, Nicci French, V M Giambanco, Robert Goddard, Dolores Gordon-Smith, Ann Granger, Clio Gray, Michael Gregorio, Isabelle Grey, Kate Griffin, Elly Griffiths, Patricia Hall, Simon Hall, Adam Hamdy, Kate Hamer, Lotte and Soren Hammer, C S Harris, Cora Harrison, Paula Hawkins, Alis Hawkins, Veronica Heley, Mick Herron, Matt Hilton, Hjorth-Rosenfeldt, Anne Holt, Jorn Lier Horst, Debbie Howells, Andrew Hughes, Graham Hurley, Graham Ison, David Jackson, Peter James, Michael Jecks, Ragnar Jonasson, Mons Kallentoft, M R C Kasasian, Emma Kavanagh, Lesley Kelly, Christobel Kent, Lars Kepler, Alanna Knight, Jens Lapidus, Stephen Leather, Simon Lelic, Pierre Lemaitre, Donna Leon, Minna Lindgren, Howard Linskey, Kate London, M L Longworth, Sheila Lowe, Stuart MacBride, A J MacKenzie, Barry Maitland, Michael J Malone, Henning Mankell, Scott Mariani, Edward Marston, Faith Martin, Colette McBeth, Rob McCarthy, Ken McCoy, Nigel McCrery, Brian McGilloway M J/Mel McGrath, Sophie McKenzie, Russel D McLean, Catriona McPherson, K T/Kate Medina, Elmer Mendoza, Dreda Say Mitchell, Lottie Moggach, Susan Moody, Steve Mosby, T F Muir, Abir Mukherjee, Julie Myerson, Fuminori Nakamura, Hakan Nesser, Chris Nickson, Nick Oldham, Leonardo Padura, Tony Parsons, Ben Pastor, Andrea Penrose, Anne Perry, Chris Petit, Oliver Potzsch, Marc Raabe, Caro Ramsay, Danielle Ramsay, Anne Randall, Matt Benyon Rees, Marnie Riches, Michael Ridpath, Mike Ripley, Mark Roberts, Peter Robinson, Michael Robotham, Pauline Rowson, Priscilla Royal, James Runcie, Leigh Russell, Michael Russell, William Ryan, Simon Scarrow, Mark Sennen, Sara Sheridan, Yrsa Sigurdardottir, J G Sinclair, Anna Smith, Jo Spain, Sally Spencer, Susie Steiner, Viveca Sten, Linda Stratmann, Martin Suter, Andrew/A D Swanston, S D Sykes, C L Taylor, Mike Thomas, E S Thomson, David/D B Thorne, Rebecca Tope, Simon Toyne, M J Trow, Antti Tuomainen, Helene Tursten, L C Tyler, Nicola Upson, Antonin Varenne, Luca Veste, Martin Walker, Alex Walters, Ruth Ware, Tim Weaver, Susan Wilkins, Timothy Williams, Laura Wilson, Robert Wilton, Jacqueline Winspear, Inger Wolf, Tom Wood and Anne Zouroudi. As the canal narrowed, they saw spoonbills ahead of them, waving their beaks from side to side in the mud as they searched for food. Instinctively the two men pulled in their oars and approached the birds silently, but one of them must have made a motion, for the two birds took wing and were gone in an instant. The interview of a wealthy suspect – whether or not he gave pills to a young girl at a party – is being conducted in stifling heat. The girl subsequently died in hospital but that doesn’t seem to disturb their suspect. Commissario Brunetti hides his growing repugnance but is increasingly aware of officer Pucetti seated next to him, and of his reactions. What happens next is hard to describe but it is a pivotal point, an impetuous action or set of impetuous actions, starting with Brunetti shooting out his arm, groaning and then collapsing to the floor of the interview room. In hospital later, Brunetti cannot tell whether his action had been a stalling device to protect a young man’s police career or a genuine medical crisis. But there is no doubting its effect on his wife Paola when she arrives at his bedside, leans close and demands, “What have you done now?” As Brunetti explains he comes to a realisation: that he is going to use the incident to step away from his police work and the stress of protecting himself and his staff from its psychological toll. Nevertheless he is uneasy when the hospital doctor agrees that two or three weeks break from his job is necessary. Now Paola and Brunetti must decide where he can obtain isolation and the image of rowing on the Laguna, as he had as a young man, comes to Brunetti. Paola reminds him of her family’s open invitation to stay at a relative’s small villa on the island of Sant ‘Erasmo. No children, no Paola; just Brunetti, the villa, its caretaker family and days of reading, rowing, eating and sleeping. At Police Headquarters, Brunetti’s frequently-used charade of feeble uselessness works well once more on his boss Patta. So, with a rigorously small suitcase packed with T-shirts, old jeans and his beloved Greek and Latin writings, Brunetti takes the ferry to the island of Sant ‘Erasmo where he is met by the caretaker Davide Casati and settled into the villa. The following days accompanying Casati as he rows amongst the marshy islets and narrow tidal canals of the Laguna to check his beehives bring a kind of peace to Brunetti. They also put him in touch with his own past for Casati had known and rowed with Brunetti’s father. But Brunetti can also see that Casati is worried by something and oppressed by a sense of guilt. One hot day a fierce and sudden storm blows in whilst Brunetti is out cycling. Drenched, he manages to get back to the villa but next morning Casati’s daughter reports that her father did not return from rowing on the Laguna the day before. An anxious and difficult search ends with finding Davide’s drowned body, floating beneath his upturned boat, his leg wrapped in the anchor rope. The death of this newfound friend haunts Brunetti and he cannot help but be drawn back searching for the truth of Casati’s death and the truth of his past. 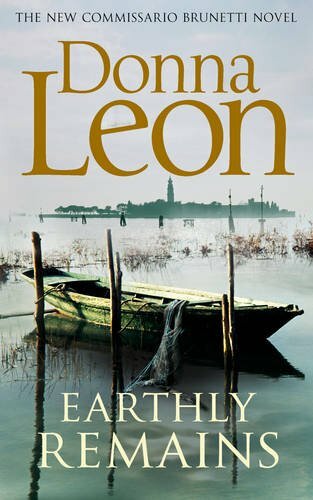 With her Commissario Guido Brunetti books, American-born author Donna Leon has created a classic and long-running crime series; one that is not only enduring but is a detailed chronicle of Leon’s beloved Venice and a careful portrait of a marriage between classics-loving policeman Brunetti and his English Literature professor wife Paola. Followers of the series have got to know their two children, to sit at their table, eat their food and drink their wine. Brunetti's colleagues are equally familiar and established. Yet it is always possible to jump into individual books on their own terms. Donna Leon’s fine juggling act with the series’ back story adds richness and familiarity without rendering each novel indecipherable without knowledge of the previous one. EARTHLY REMAINS itself reads as freshly and thoughtfully about contemporary life in Venice and the lives of its characters as earlier novels in the series. Brunetti has grown older and perhaps darker in his thoughts but Leon takes him away from the tourist-packed bridges and alleys of Venice and out into the city’s own setting, The Laguna. Painstaking pictures of each encounter with people, birds, islands and islets, ruined farm and villa, mirror the breadth and subtlety of Leon’s cool eye – despite writing, one feels, out of a personal passion about an environment and way of life rapidly disappearing. In EARTHLY REMAINS it seems as if this pause for a long cool look is what Brunetti himself may need in order to reconnect with his original passion for justice. Yes, good fortune smiles on him in the form of a wonderful place to recuperate, thanks to his wife’s wealthy family, and the almost supernatural cyber powers of the ever elegant Signorina Elettra coming to the rescue once again during the course of Brunetti’s investigation into Casati’s past. But a little bit of fortuitous escapism is necessary. Something needs to go right amidst a wider world of corruption, pollution, greed and personal tragedy where, as Leon has said of the current American administration vis-à-vis environmental protection – the foxes have been put in the hen coop. Donna Leon is a marathon runner when it comes to crime series and in EARTHLY REMAINS, the twenty-sixth in her Guido Brunetti series, Donna Leon remains in peak form. 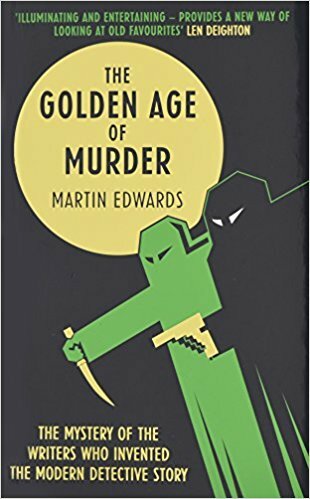 I'm very pleased to host a guest post from Martin Edwards today, to celebrate the release of his latest reference book on crime fiction. He follows up the hugely acclaimed The Golden Age of Murder (2015) with The Story of Classic Crime in 100 Books. The Story of Classic Crime in 100 Books, my new study of crime fiction, is billed as a companion to the British Library’s amazingly popular series of Crime Classics. It’s certainly that, but I hope it’s also something more. The key is that word “story”. This book isn’t meant to be merely a collection of short monographs about interesting novels of the past. It doesn’t even discuss in detail the majority of the books that have been published by the British Library to date. What I set out to do was to explore the way in which the genre developed in the half-century that separates The Hound of the Baskervilles from the appearance of Patricia Highsmith’s brilliant debut Strangers on a Train. When I published The Golden Age of Murder (Harper Collins) a couple of years back, I wasn’t sure how people would react to my rather elaborate narrative about the extraordinary men and women who created the Detection Club, and the wonderful books they wrote. I avoided an academic approach, partly because I’m not an academic. I’m an enthusiast, and I wanted to share my enthusiasm for the Golden Age detective fiction. So I was determined that there wouldn’t be any footnotes! My chapter end notes were meant to supplement the text and also, in many cases, be entertaining in themselves. Above all, I wanted to employ the techniques of the novelist to tell a story about the Golden Age. Rather to my surprise, and much to my delight, it turned out that a good many people around the world not only shared my enthusiasm, but also found the approach I’d adopted an enjoyable means of learning about books that, in countless cases, had been long forgotten. The Story of Classic Crime in 100 Books is very different from The Golden Age of Murder, but again I’ve tried to make use of my experience as a crime novelist to offer a few unexpected twists along the way as the narrative unfolds. Because this is a British Library book, naturally the focus is on British books. But Eurocrime fans need not despair! I’m fascinated by the Golden Age detective fiction that was being written in languages other than English at the time when Conan Doyle, Christie, and company were at work. This interest has led to me to put together an anthology of classic crime in translation, Foreign Bodies, which the British Library will publish in the autumn. And my chosen hundred classic crime books include, for instance, Six Dead Men, by the Belgian author Stanislas-Andre Steeman. It’s been out of print for far too long, but it bears some uncanny resemblances to Christie’s And Then There Were None. Most interestingly of all, perhaps, it pre-dates Dame Agatha’s masterpiece by eight years. 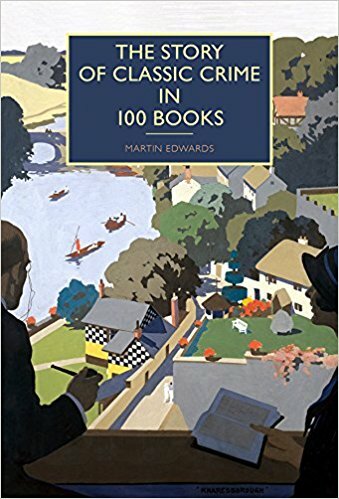 The Story of Classic Crime in 100 Books is published in the UK on 7 July by the British Library, and in the US on 1 August by Poisoned Pen Press. Many thanks to Martin and The British Library for this post. Here's a snapshot of what I think is published for the first time in July 2017 (and is usually a UK date but occasionally will be a US or Australian date). July and future months (and years) can be found on the Future Releases page. If I've missed anything do please leave a comment.